Every year I am forced to clean out some stuff on my bookshelves to make place for new things. This time I came across a pile of old Training and Development (T+D), Management Today and Strategic HR Review magazines from 2008. Coincidentally, The Talent Hub was also established in 2008 and 10 years old this year, so I decided to honour the ten-year anniversary by paging through the magazines to see whether there is something useful in them before throwing them out. 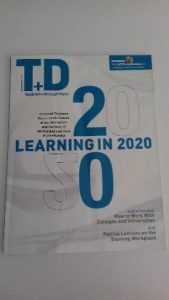 I was particularly intrigued by a T+D cover about learning in 2020. I was wondering whether 10 years later and only two years away from 2020 whether the predictions were realised or not. 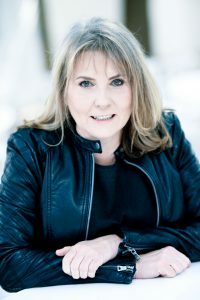 I found most of the predictions on target, although some of them may not have envisaged the scale to which certain changes would have taken place and in other instances they may not have foreseen the slow pace of change (with the result that we are pretty much still in the same place as 10 years ago). Something that I think we are still struggling with and that was mentioned by David Wilson (then MD of Elearnity in the UK) in his predictions for 2020 in the December 2008 T+D Journal (page 34) is the importance of informal learning. He said: “I see significant interest in informal learning…but there is a big reality gap. Seventy percent of learning in corporations may be informal, but it’s also completely unmanaged and invisible from a learning function point of view”. He further stated that “Although informal learning is a key to enhancing employee productivity, most employers have had no reliable way to capture, measure or leverage it. Emerging technologies are starting to provide a way to foster the sharing of experiences, advice and how-tos”. David mentioned that tools have been developed that can measure and quantify informal learning so that it can be prioritised for its popularity and effectiveness and categorised in a library. I found that this part of his predictions certainly progressed very well over the past ten years, as various systems and tools, capturing informal learning, were developed and refined, for example Fuse. I do however think that very few organisations (besides best-in-class examples like Google, IBM and others) are willing to really leverage informal learning and do the hard work to embed informal learning in its learning eco-system. I find that combing the learning path methodology as pioneered by Learning Paths International (www.learningpathsinternational.com) with the Learning Experience Management System TREK (www.cognitiveadvisors.com/trek) provide a practical and scalable manner in which informal learning can be built into the learning architecture of the organisation. Some organisations thus seem to be on track to meet the predictions regarding informal learning for 2020, while others are still stuck in 2008! The Talent Hub is Learning Path International’s partner in South Africa and a reseller of the TREL LEMS. ← Retrieved 14 December 2017.